COMMITTED TO PROVIDING THE BEST IN INSURANCE COVERAGE AND SERVICE ALWAYS! 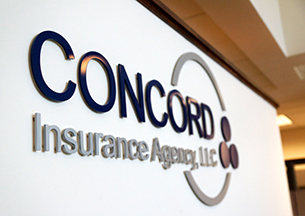 Concord Insurance Agency started well before its inception in 2002. It started back in 1980 when managing partner Tom Glanton purchased and established Glanton & Associates in Ontario NY. In 1991 he began an association with Sean T. Kelly who had recently joined his father at the Edward F Kelly Agency Insurance Agency(established in 1958), then located in Pittsford. In 2001, Tom, Sean and Shavonne Glanton, who joined Glanton & Assoc in 1992, decided to join forces permanently! 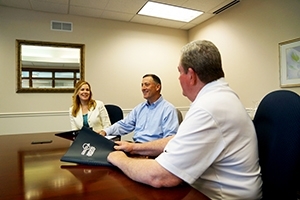 They formed Concord Insurance and built a new building on Dean Parkway to service all Glanton, Kelly and Concord Insurance customers under one roof. Concord continues the basic philosophy that the Glanton & Kelly agencies have practiced for over 40 years – treat our customers as we want to be treated! We strive to provide our customers with advice and knowledge that goes above and beyond what people expect. We are business owners too so we know what you want and guess what? We are glad to talk to you directly and in person! Tom, Sean & Shavonne; along with their dedicated staff, are here to help you with your insurance needs and make the process of insurance easy for you.